We recently caught up with SAI Ambassador Francesca, who reflects on her summer in Florence. Studying abroad is something I’ve wanted to do for years. 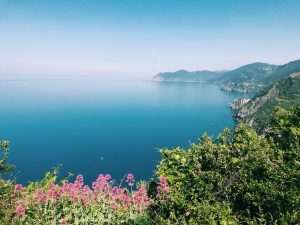 This experience was supposed to be about meeting new people, trying new things including places and cuisine, and making a foreign country “home” for a while, and it did just that. I was paired with amazing people that inspired me to be as passionate about my major as they were. 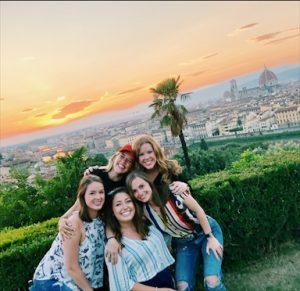 I couldn’t have asked for a better experience overall, and I am so glad I was able to enjoy my time in Florence with the incredible people I got to meet. This was taken at the Piazza Michelangelo during a sunset with the people I met through SAI. Advice I would give for packing would have to be to bring things you know you will wear more than once. You will have to re-wear things because of the limited packing space you have. I wouldn’t waste your suitcase room on any bulky shoes (heels, wedges, boots) because you will end up wearing comfortable shoes because of the way the sidewalks are in Florence. This was on the included trip to San Gimignano. 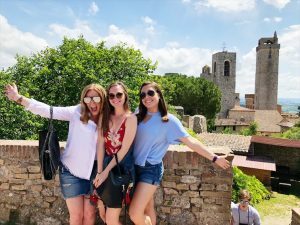 Francesca was an SAI Florence summer 2018 student from the University of Florida.